A niche is a target audience or target market or an area of specialization where you can provide your services in the best manner because you are more knowledgeable in that market. A niche can be geographical. You may choose to provide your real estate expertise in one city or if you are a real estate agent in a large city, your niche may be a certain geographical boundary in that city. Some agents specialize in farm properties. Some agents specialize in second homes and investment properties. Some agents focus on 1031 tax deferred exchanges. Real estate agents who speak other languages may find themselves providing services to buyers and sellers who speak those languages. 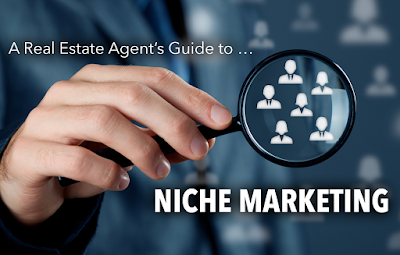 Whatever type of niche you have, it is extremely important to focus your attention on your target audience when in comes to real estate marketing online. Niche marketing does not mean you have to limit your marketing efforts in just one local area. It is also important to combine national with regional and local exposure. For instance, if you are specializing in the second home market, it is important to combine local and regional marketing with national marketing when it comes to real estate marketing online. If your niche is in the second home market, the buyer or seller for a second home may come from any city in the country. Many buyers and sellers of second homes consider different cities in different states before they decide where next to purchase a second home or investment property. They like to search online to conduct their research to find out about the different cities they are considering. They also look for real estate agents online who can provide them with additional information on the cities of their interest. If you market your real estate business online outside of your local area of service, you are already several notches ahead of your competition because you will reach your target audiences right in their spots before they even start looking for a real estate agent else where. Their perception of your professional practice will also improve because you are giving them a glimpse of the kind of approach you have when it comes to conducting your business. The biggest drawback in utilizing real estate marketing online nationally is the issue of budget. If you are an independent contractor (and most real estate agents are), chances are that you will pay for the marketing of your own profession, and most online publications will charge a handsome fee to include your real estate business online nationally. However, if you do your research, you will find some online publications that will charge decent rates to include your real estate business online nationally. Understanding that it is not necessarily the amount of any online traffic that is important but getting the online traffic from your target audience is what really counts. You will get less general online traffic when you direct your focus to a targeted audience, but you are reaching the audience that will listen to your message. This is the audience that is more likely to respond to your message. Of course, just like any other type of marketing, real estate marketing online is still a numbers' game, and you are more likely to experience a higher success rate when you reach your target audience online. How do you reach your target audience with real estate marketing online? Advertise your real estate business in specialized online publications. If you would like to reach the audience for the second home market, advertise online on a second home Internet directory or second home Internet magazine. If you would like to reach the market online for 1031 tax deferred exchanges, advertise in an online or Internet magazine that specializes in real estate investing and 1031 tax deferred exchanges. Know the function of the search engines in real estate marketing online. A huge majority of online searches are done through search engines. Using search engines is really a wonderful way to reach your target audience because your target market is the one coming to you instead of you going to them. 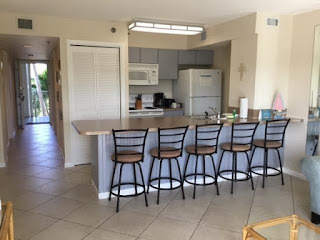 For instance if they put "buying a second home directory" as their search parameter, they are very specific about finding a directory that specializes in the second home market. Advertise in an online publication that ranks in the top 10 of Google, MSN, and Yahoo when using the key words of the search parameters that your target audience is most likely going to use because these major search engines are the tools that your target audience will most likely utilize to conduct searches online in order to reach you. The real estate online or Internet publications that display in the top 10 of the search results in major search engines in a defined niche are the ones which are most likely to be visited by the people who are looking for that specific business or service and that is the online publication where you would like your business to be seen.